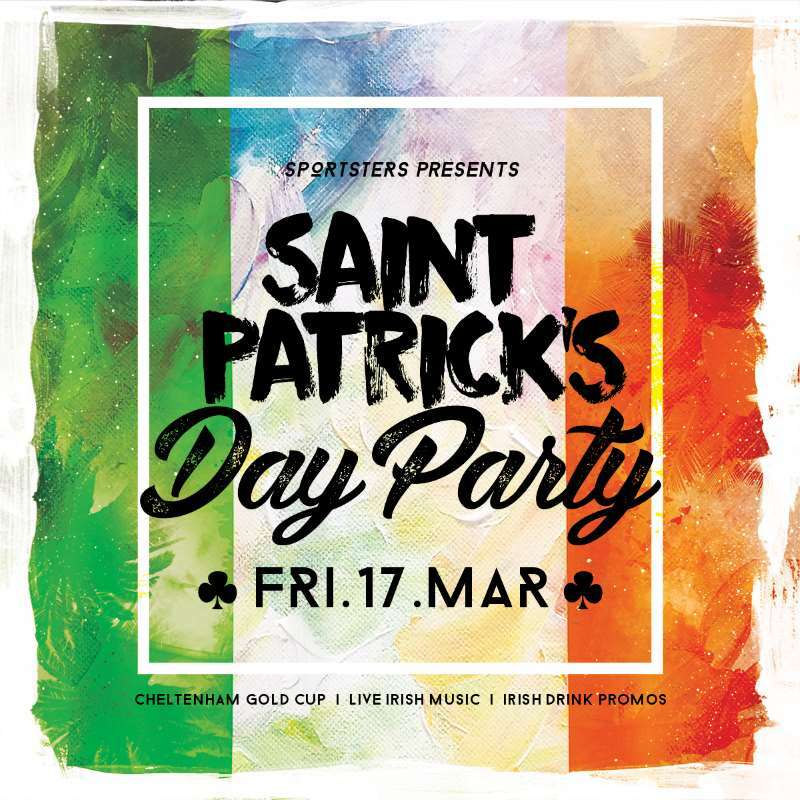 We’re delighted to launch our St Patrick’s Day plans here at Sportsters! We’ll be open until 3am, throwing Falkirk’s hottest celebration! We start the day with the Cheltenham Gold Cup, which is expected to go off at 15:30. 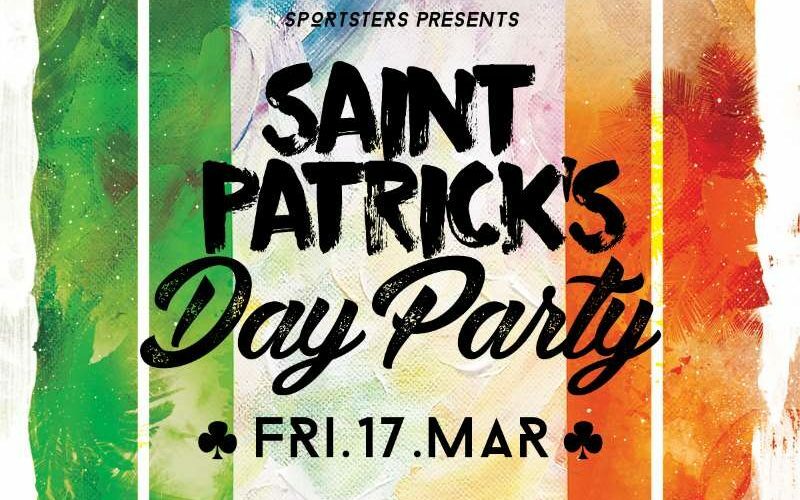 Then, we’ll live Irish music from 8pm until 10pm with Alan Donaldson and DJ Neil will take us through until 3am. 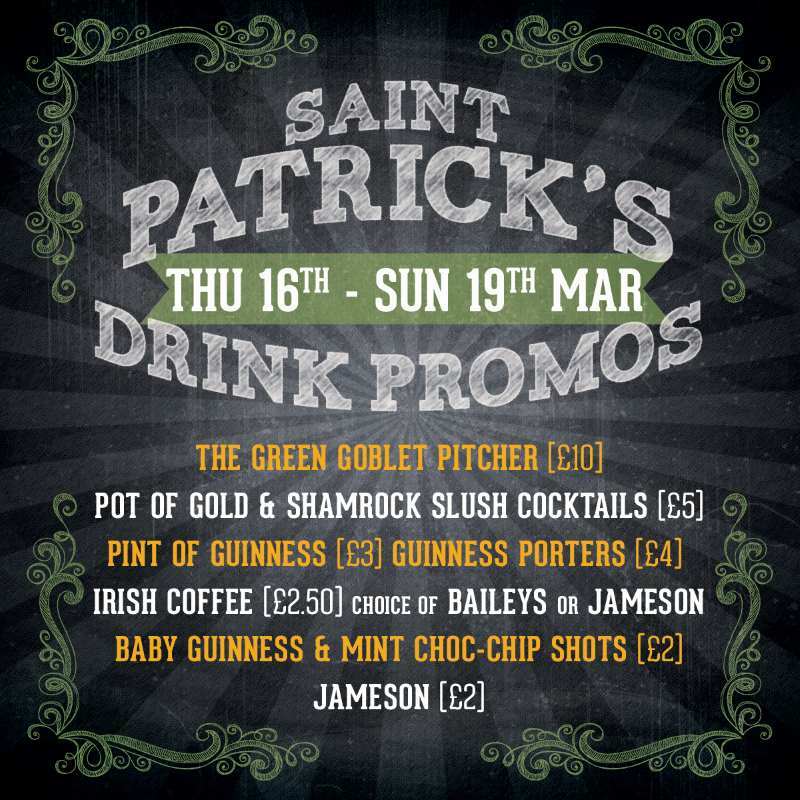 On top of this, we have some amazing drink promos, all themed to the occasion! Have a look below and get deciding which one you’ll be trying.